The #SunMet2019 brought racing enthusiasts and fashionistas together to celebrate and witness the thrill of one of Africa’s richest race day. Prestigious guests were treated to a world-class horse racing entertainment, and equestrian-inspired elegance like they’ve never seen before. The theme was Precious Metals which is inspired by the riches of the earth that is a celebration of Africa’s most luxurious gems. Not only is the event the perfect platform for local celebs to dress in their finest gowns and suits, but this year’s occasion had some of our favorite couples in attendance. Minnie Jones and her athlete hubby Quinton look so yum together. Her refined style is captured in a unique ensemble by Gert-Johan Coetzee and her former American football corner-back hubby pulled all the stops in a well-tailored suit. While many celebrity couples rely on stylists, this pair clearly enjoy dressing for each other. 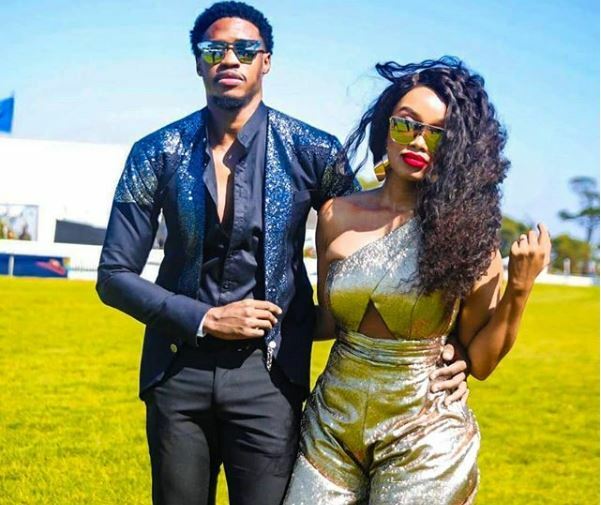 Actress Dineo Moeketsi and her rapper partner Solo are the perfect definition of style pedigree! The duo slays red carpet events and they also adhere to the theme. We also spotted the beaut rocking her latest shiny accessory on her left hand. Could they be planning to take their relationship to the next level? Stylist Tshepi Vundla was spotted all smiles with her producer smile keeper JR Bogopa. The local trendsetter looks more beautiful than ever with a natural look. She stuck to the theme as she was all draped in a metallic number from the local couture fashion designer – Bonolo Mosimege. Meanwhile her award-winning artist bae was dressed to the nines in a crisp clean shirt and suit. It’s rare to find a couple in a class of their own! That applies to reality lovebirds Somizi and Mohale who are better known as Somhale. Their effortless fashion sense can be seen through social media and we can’t wait to see what they will wear on their big day! Who is your best dressed couple?